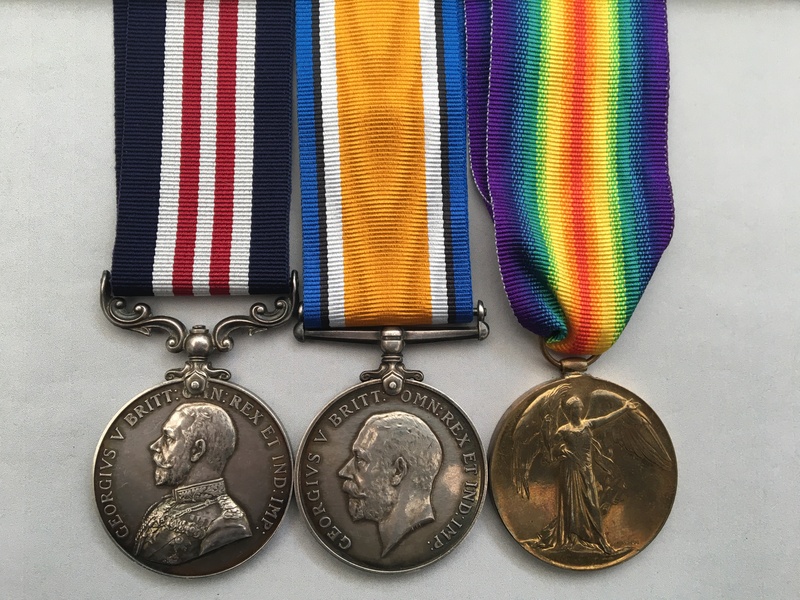 A WW1 Military Medal group awarded to 318683 Gunner/Signaller, Herbert Andrew Allen, who served with the 139th (Hampstead) Heavy Battery, Royal Garrison Artillery. Allen (who was a Londoner), was awarded his Military Medal whilst serving with the 139th, which was a part of the 85th Heavy Artillery Group (which became the 85th Brigade RGA in December 1917 and remained as such until the end of the war). His London Gazette entry can be viewed by clicking on here. Military Medal named to 318683 SIG: H. A. ALLEN. R.G.A. 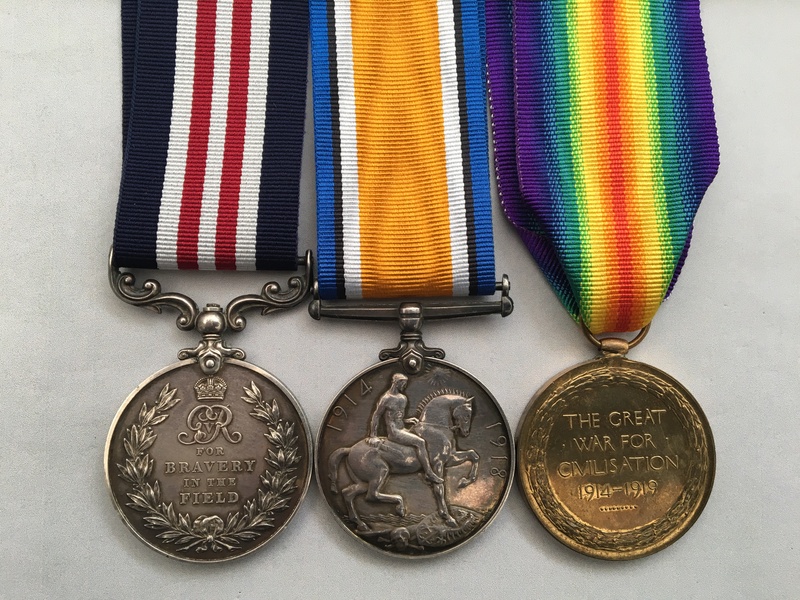 British War Medal and Victory Medal named to 318683 GNR. H. A. ALLEN. R.A. The medals are loose with replacement ribbons. I’ve not been able to trace any service records related to this man and his Medal Index Card, which can be viewed by clicking on here, if you have access to Ancestry (although a paper copy will be provided), does not provide any additional details. His Military Medal Index card, which can be viewed by clicking on here, if you have a subscription to ‘find my past’, although a paper copy will be provided, does confirm that he was attached to the 139th (Hampstead) Heavy Battery. Further details of the RGA can be viewed by clicking on here.